CEC Installers, Approved Retailers and Members. What's the difference? Home > Solar Policy > Clean Energy Council Accredited Installers, Approved Retailers, And Members: What’s The Difference? 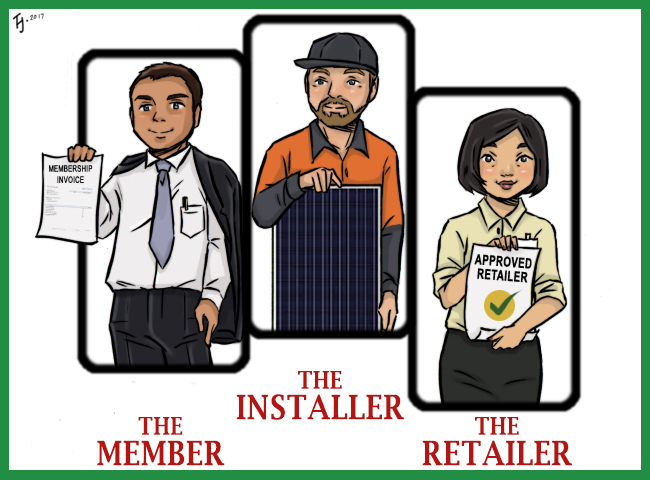 Clean Energy Council Accredited Installers, Approved Retailers, And Members: What’s The Difference? The CEC has 3 levels of affiliation, members, installers and approved retailer. What is the difference? The Australian Clean Energy Council, or CEC, is Australia’s peak body for solar and other renewable energy. While peak body may sound like a Kosciuszko1 corpse, it is a national, non-profit, trade association group that helps regulate the clean energy industries. But installer accreditation isn’t the only qualification or title the CEC regulates and this is where confusion can set in, because not many people know, or care about, the difference between a CEC Accredited Installer, a CEC Accredited Designer, a CEC Approved Solar Retailer, or a CEC Member. I wasn’t clear on the difference myself before I spent a few hours4 researching this article. This badge can only represent a person who is an installer, not a company. Any person in charge of installing solar on your roof has to be an accredited CEC installer. If they’re not, then any system they install (or supervise the installation of) won’t be able to receive the STCs that lower the cost of rooftop solar as part of Australia’s Renewable Energy Target (RET). Most people refer to this as the “solar rebate”. Because anyone whacking solar on roofs would soon go broke if they tried to compete without receiving STCs, you can be very certain your installer is legit. But if you want to be sure, you can go to this CEC page and enter the installer’s details to find out if they are one of the over 4,000 the CEC has accredited. To become an accredited installer there are a number of hoops to jump through, or possibly carefully navigate while using proper safety precautions and equipment, since jumping is not permissible behavior when installing rooftop solar. Apply for provisional accreditation: This will require training certificates, an electrical licence, working at heights certification, and public liability insurance of at least 5 million dollars. Become a full member after having your work inspected. Maintain accreditation by performing a required amount of training each year to keep up to date on new developments. As you can imagine, achieving all that is not an easy task and is just one of the reasons why accredited installers expect to be paid for their work, despite the fact most of them are pretty enough to get by on their looks. An accredited installer either oversees the installation of a rooftop solar system or, far more often, gets their hands dirty working on it themselves. Very few can afford to stand around and only supervise. If you want to work in the solar industry but have such a crippling fear of heights the thought of wearing platform shoes give you nightmares, or you are quite sensibly opposed to any physical effort beyond the absolute minimum required for health, safety, and reproduction, or simply are not a qualified electrician, then becoming a CEC Accredited System Designer may appeal to you. Ensuring safety, both for the people installing the system and those in the building it is placed on top of. Providing all required documentation, including information on any shading issues and an estimate of what the system’s output will be, including an estimate of average daily production for every month of the year. Many accredited installers are also accredited designers, in much the same way that Clark Kent is both a journalist and a Rotarian. The CEC only accredits individual people as installers and designers. There is no such thing as a CEC accredited company. If you ever come across a business that claims to be one, be very wary. At best they are confused, but it is more likely they simply have no problem lying to make their business sound better and more reputable. And if you think a liar is going to stop at just one lie, well, in that case, you should know I am the world’s second greatest lover and I own a bridge I am sure you’ll will want to buy. However, just to make things confusing, there are such things as Clean Energy Council approved companies and these are known as CEC Approved Solar Retailers. A company can apply to become a CEC Approved Solar Retailer. Companies that are willing and able to stick like glue to a strict code of conduct and pay the required fees can become a Clean Energy Council Approved Solar Retailer. This is very different from an accredited installer. While there are over 4,000 accredited installers in the country, there are currently only 43 CEC approved retailers. You can see the entire list of them here. The reason why there are so few is because the standards are so very high and the fees are so very not low. The good news is, if you use a CEC approved retailer for you solar installation you can be almost completely sure they will do an excellent job. If they don’t do a good job and the CEC agrees that they have breached the approved retailer code of conduct, they can and will lose their status as an approved retailer. However, if you do have a problem the CEC say they won’t help you out with getting the problem resolved. They’ll just tell you to go to your local consumer tribunal. So while they will set standards, the CEC doesn’t want to get hands on involved with complaints involving their approved retailers. I think this is unfortunate. Update 22nd July: The CEC has contacted me and told me while they don’t have the jurisdiction or resources to intervene in disputes that don’t involve breaches of the their code of conduct, they do work behind the scenes to, “facilitate the resolution of disputes”. Sign and follow the code of conduct. Pay fees which will vary from around $800 to $6,000 a year, depending on the size of the company. Do the paperwork required to show compliance with required procedures and policies. Stay golden, stick to industry best practice, and don’t screw up. All this is not easy and accounts for why there are so few CEC approved retailers around. Another reason why there are so few is it’s probably easier for medium and large organisations to meet the requirements, which means many smaller installation companies may not think it is worth the effort of applying. It’s certainly not for those who dislike paperwork and can’t afford to pay someone else to do it. A company can become a CEC Member by paying the membership fee. If they act really badly they can get kicked out or have their membership application disapproved, but I believe that is a rare occurrence. The final horse in the Clean Energy Council’s stable of classifications are CEC Members. And from the point of view of Australians looking to put solar on their roofs, they are the least important. For a start, membership doesn’t mean much. Any company that is “willing to support the work of the Clean Energy Council” can join. This includes your local glue factory, if they are so inclined. After all, recycling horses can be environmentally orientated. The only real requirement is paying the yearly fee. As a result there are a couple of companies who are members I would not recommend using, so it’s not really an indicator of quality, although if you act reprehensibly they will kick you off. The subheading above this sentence sums things up pretty well. One of the people working on your rooftop solar installation will be a CEC Accredited Installer. If not, then you are dealing with an extremely dodgy company that is engaging in fraud by illegally applying for STCs. Fortunately, this very rarely happens these days. If you are worried you can check to see who is an accredited installer. A CEC Accredited System Designer will plan out your system, ensuring it meets all Australian Standards and CEC guidelines. Often they are also an accredited installer. When buying solar, you should always get a design document signed off by a CEC accredited system designer. CEC Approved Retailers meet high standards of conduct and can be relied upon to perform high quality installations. CEC Members are companies that have paid their membership fees, and have not behaved so reprehensibly that they have been booted out or not had their membership approved. So in my opinion, CEC Membership alone isn’t much of a filter when selecting a solar company. ** Updated on 7th July to tighten up the wording so as not to imply that the CEC is responsible for setting Australian Standards. Standards Australia set the Australian Standards and the CEC issue education and guidelines that help promote those standards. Interestingly, Euro Solar had their CEC membership revoked earlier this year. I heard a report that the Australian Solar Council also took similar action. 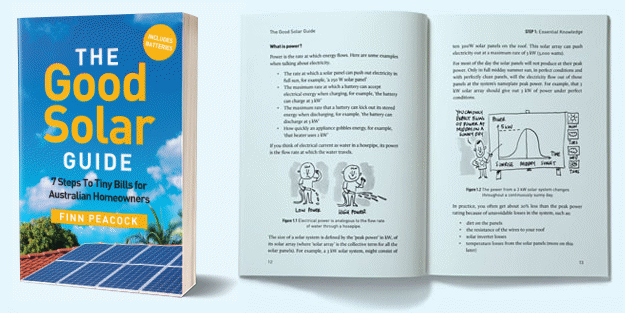 A fact not well known Ron is that every CEC standard license holder, whether a system installer or designer, relates to Solar PV work and/or design only; and there are a total of 4517 CEC licence holders as of 4th July Australia wide. Additionally there are a maximum of 4 supplementary technologies endorsements available for CEC licencees who have completed other formal qualifications under the Australian Government Electro-technology Training Scheme, that entitles them to design and/or work on systems involving other energy sources as well as Solar PV including: (1) Micro Hydro Generation (2) Wind Generation (3) Hybrid Systems (4) Energy Storage; and there are a total of 22 CEC licence holders with all 4 endorsements as of 4th July Australia wide. This is a surprisingly low number considering the very many opportunities (mainly rural understandably) for STC’s creation for small scale ‘Solar PV and Pumped Hydro plus Storage’ in particular. Given all of the above, how are people like ‘Modern Solar’ permitted to do solar power installations? Unfortunately the CEC won’t help you in any way if one of the CEC accredited system designers, let’s say, gets things ‘wrong’. I have been able to clearly demonstrate that we have not been told about a major shading issue (you can also see that on the contract); the reply from them: “is the monthly generated estimation within the +/- 20%? It was -19% at the time if I can recollect correctly. Should check again as it is coming up to 1 year since installation. Take away point; just because you have guidelines doesn’t mean you end up a) with a good solution and b) with anything more than a piece of worthless paper.